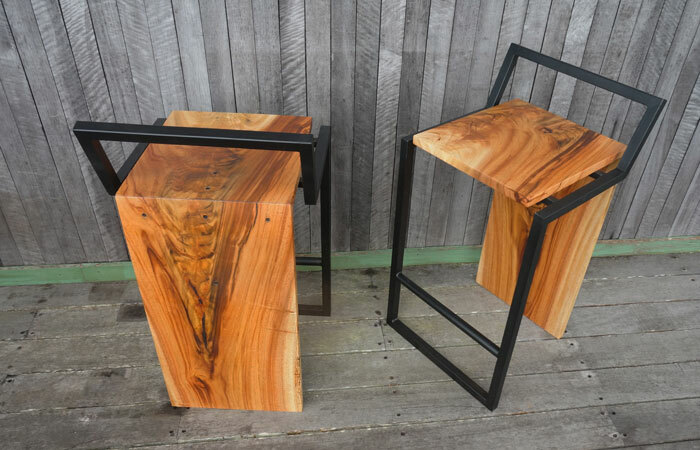 Waterfall stools are named after the technique furniture makers are using, when the wood is perfectly cut in 45 degree angle which lets the wood continue its grain. 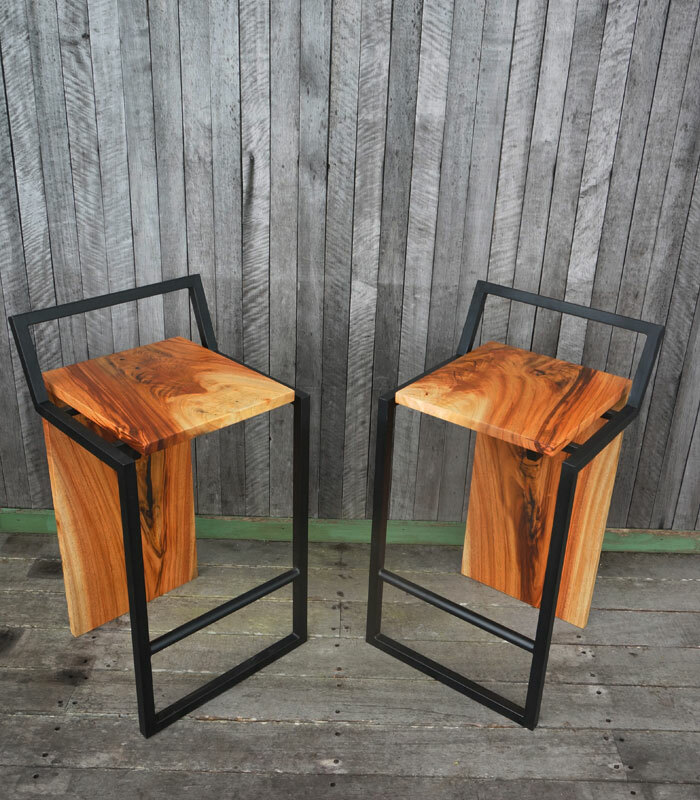 Its gives a perfectly nice and smooth look and most importantly – you can still admire the woods natural look. 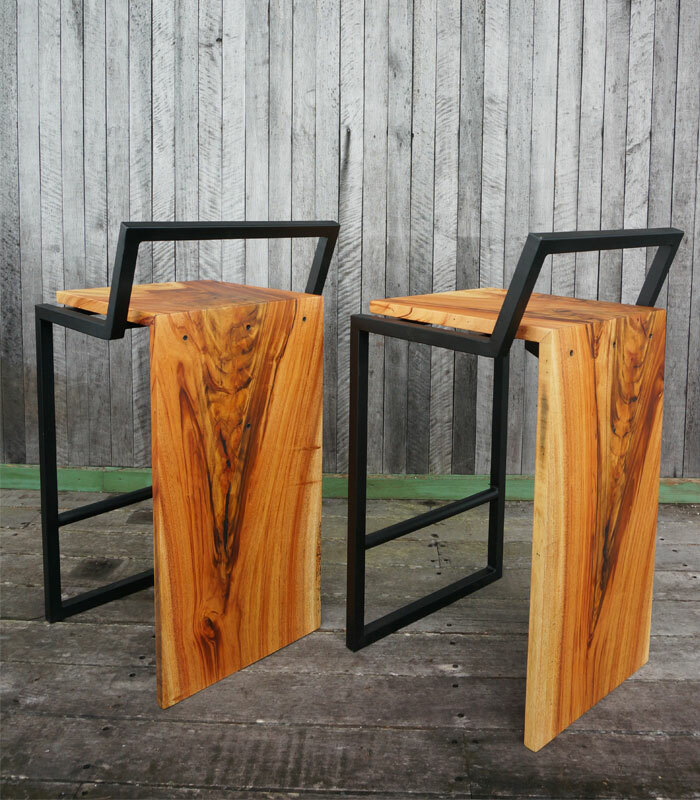 Legs are made from powder coated metal, strong and long lasting material.